Its Day 3 of our release week! 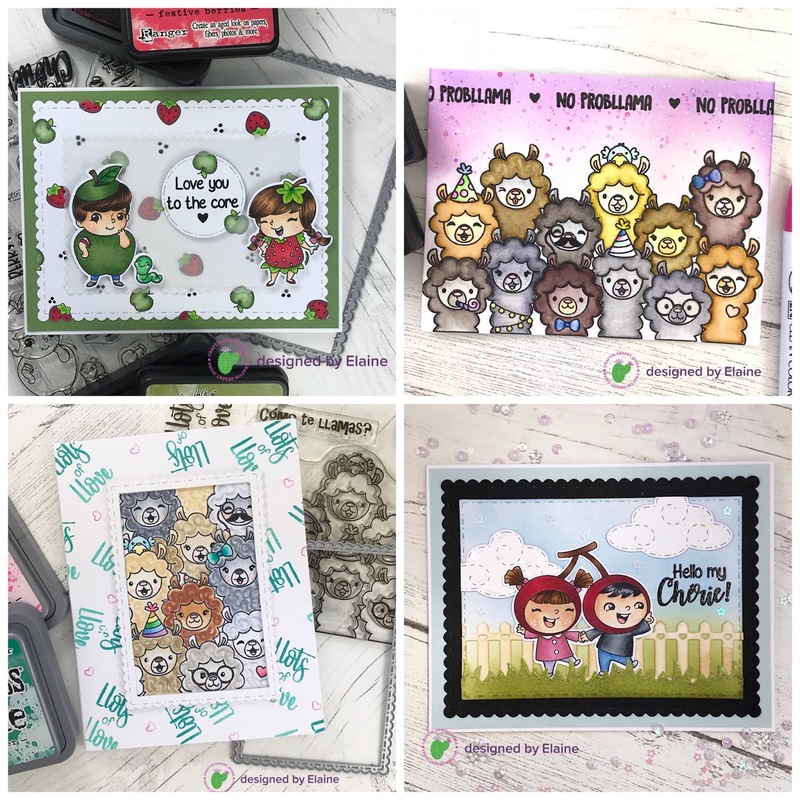 Today I'm showing you cards I made for July's release and I hope they give you some inspiration...the whole release is absolutely amazing! The cards I have prepared below showcase 'Fruity Friends' and 'Llama Party'. 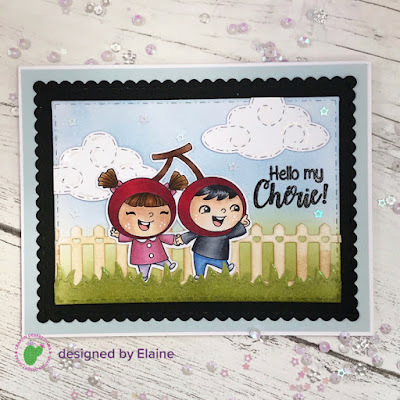 If you head on over to the Craftin Desert Divas YouTube channel you can watch my card making tutorial using the Llama Party stamps - click here. 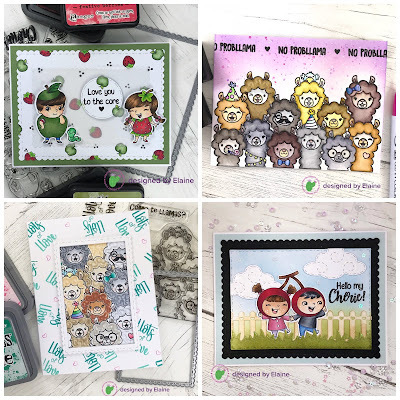 There are lots of other fabulous stamp sets in the release plus a new stencil and a new set of dies so be sure to check out other Design Team members' blogs to see what they have created to tempt you! For this card I have coloured (with copic markers) and fussy cut the cute cherry boy and girl image from the new fruity friends stamp set. I then cut out the fence and grassy border from the Outdoor Landscape 2 dies and inked those up with vintage photo (fence) and peeled paint (grass) distress inks. For the background scene piece I cut out a panel using the Fancy Frames dies and lightly inked up the top portion with tumbled glass distress ink and the bottom portion with peeled paint. The clouds I used are from the Rainbow die set...I love the stitched swirl design of those! To layer up the card I cut a base layer of pale blue cardstock from my stash and then die cut a black piece of card using the second largest of the dies from the Fancy Frames set. Before I adhered all by scene elements I heat embossed the sentiment onto the inked background panel using Versafine onyx black ink and clear embossing powder. Be sure to check back on my blog on Friday to see how I made the other cards using more of the stamps in the release! For more information click here and scroll to the bottom of the CDD blog. Good luck!